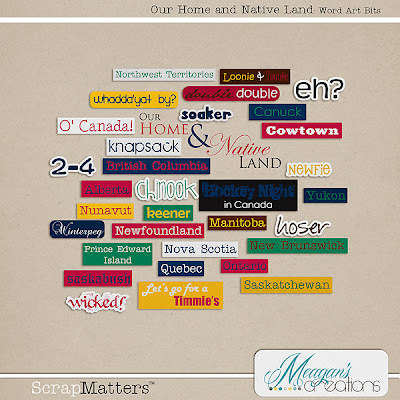 Meagan is releasing Our Home and Native Land at ScrapMatters! 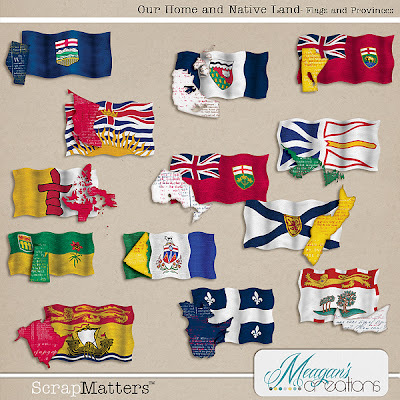 This bright and beautiful kit will be perfect to scrap all your Canadian trip pics and photos! 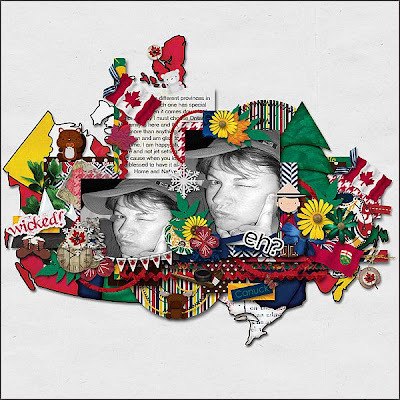 And of course, it's a great opportunity for all you Canadians to show off your beautiful country. All previews below are linked to the store. 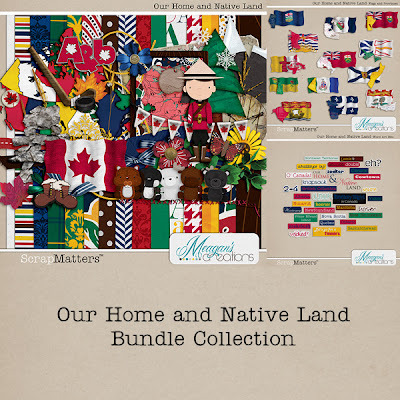 Besides the kit, you can also grab the flags and provinces and some really cool word art all on SALE for 20 % off each and a great BUNDLE OFFER to get all 3 together at 40% off! For additional discount on Meagan's products, don't forget to subscribe to Meagan's newsletter. There'll be a 10% discount coupon waiting for you! 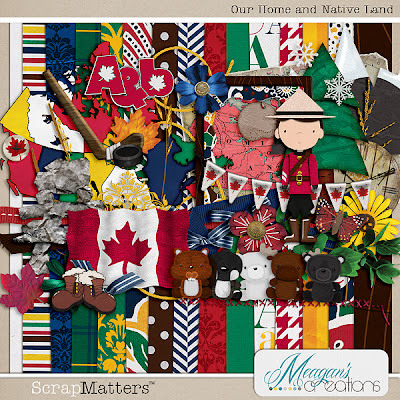 Also, if you liked Meagan's Mix-A-Kit pieces at ScrapMatters, then you'll love one more addition: My Favorite Things - the clusters! If you liked this post and Meagan's products, please do share with your friends and keep dropping by!